Put together a great setting, wonderful food, and terrific writing, and you have a combination Publisher's Weekly calls "yummy." Now, here's Lucy to tell us more! LUCY BURDETTE: Talk about providence. 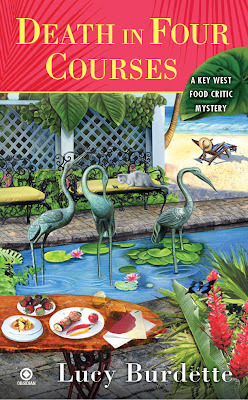 Not too long after I signed the contract to write the Key West food critic mystery series, I learned that the Key West Literary Seminar would be focusing on food writing in January 2011. The event was called THE HUNGRY MUSE, featuring foodie luminaries such as Frank Bruni, Madhur Jaffrey, Jonathan Gold, Diana Abu-Jaber, and many more. Not only would I be able to take notes from the best in the business, I could write the whole thing off! I pictured my food critic character, Hayley Snow, as she anticipated covering this conference for her online magazine, Key Zest. She would be so thrilled to hear and meet her writing idols. But she would have mixed feelings too, as she tried to land interviews with bigwigs, write snappy but thoughtful articles, all while comparing her abilities and her fledgling career to theirs. And maybe Hayley had invited her well-meaning, foodie mother for the weekend, not realizing quite how vulnerable she’d feel working on this important assignment? "The waitress delivered our meals: Greek salads thick with feta cheese and Niçoise olives folded into buckwheat pancakes, a spinach and mushroom omelet, and the ham and cheese sandwich crowned with an egg over easy and an order of french fries on the side. At night, he brings his apron home, layered with the detritus of his day. A splash of blood from the rib eye steaks carved for the rich man on the hill. Who will eat pink flesh but not green, no matter how pleasing the taste. Distributed to fancy restaurants and slavering dogs alike. And that’s the way I feel about writing DEATH IN FOUR COURSES—sure it was a lot of work; but the kind of work that leaves me feeling...like I’ve gotten away with something. DEBS: And now I'm hungry (and envious that you got to hear Ruth Reichl speak...) I'm going to get out my copy of DEATH IN FOUR COURSES and contemplate recipes. fronov oneNext Tuesday is an auspicious day for Jungle Red writers. September will be a wonderful reading month with so many great new books. I'm hungry just reading this blog. 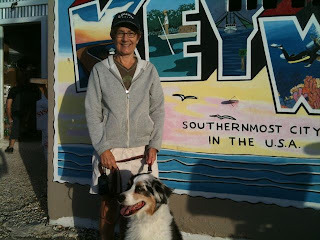 Plus, it feels like fall here in Maine this morning so thinking about sun and sand - and food - in the Keys sounds great. Good luck with the new book, Lucy. This book sounds like a fun read, and I wish this series great success. I've been to the Keys, but only as far as I think Duck Key. Key West is still on the old bucket list, or the TBT-to be traveled list. The fun thing about books is we can go anywhere without leaving home! I might have been at a luncheon table with Sigrid at Bouchercon in '09. She kept eyeballing my muscles. Good luck with the new book, Lucy. I'm going for the autographed version so take me out of the drawing. Thanks so much Marianne and Karen! So Jack, was Sigrid looking at your chest hair too?? I admit I'm a flirt, but I never let it get that far with Sigrid. I'm hungry now, too. Love this series! Congratulations on the release, Lucy. Congrats on your new release, Lucy! I loved "An Appetite for Murder," and have been looking forward to Hayley's next adventure. 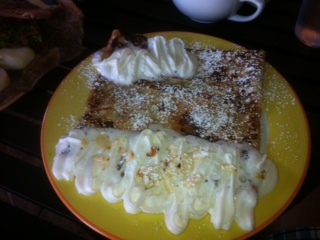 If I can't actually be in Key West, I'll have to enjoy it (and the food) vicariously - Thank You! Congratulations, Lucy, and good luck with the book. It sounds --- well, delicious. Thanks for the fascinating "behind the book" glimpse into your writing; I’m looking forward to reading Haley’s latest adventure. Can't wait to read your new book. It has been years since I was in Key West, but after I read "An Appetite for Murder" I had to put it on my trip list. I can almost smell the fresh lime coming off that cover! I've already pre-ordered my copy from Amazon and looking forward to reading it on the Cape. Perfect book for sand in toes! In anticipation of the new book, last week I pulled out my copy of the first Haley book to reread it. The food and locale descriptions make me want to drop everything and fly right down there. What I really love about Haley is her tendency to rush right into a situation. It is both endearing and humorous. While I had the book in my hands I HAD to read the preview of the new one. I would not let myself do that the first time around because it was too far away from publication and I KNEW I would want the book immediately! And I was right! I can't wait to get the second one! Dee--so neat that your grandson lives in KW! Did I already ask you how he ended up there? I can't think of a BETTER setting for a series. You've got history, physical beauty, artchitectural charm, zany characters and lots of opportunity for murder. And then of course, there is the food! Can't wait for Tuesday. Read An Appetite for Murder in two days. Good luck with the new book! Hurray hurray hurray!!! Margaritas for everyone!! SO happy for you, Lucy! And will confess to pre-ordering SEVERAL copies..
Congratulations, Lucy! I can't wait for it. We've got so much to celebrate next week, though. Lucy's, Hank's, and Edith's books all out on a Red letter day! Good luck with the new book. It sounds delicious in many ways. Reading this at the beginning of my lunch hour before eating was so not a good idea. I am now ravenous. It sounds so good that I just popped over to Amazon and bought the first book in the series. Good luck on the new release. Wow. More great reads coming at us this month. I wish you great success with the release, Lucy--I love food and just reading the reviews and the synopsis has me me hungry for a great meal and a great story. Lucy, I'm still thinking we need to plan a REDS retreat in Key West. thanks to everyone--we are so glad you're here! We will celebrate Hank's book on Tuesday and Edith will be visiting later in the month. Char, Linda, Mo--thank you for ordering!! Debs, Ruth Reichl did not strike me as the kind of woman who'd enjoy getting killed off--even if it was fiction! Key West retreat, yes! Last Lucy book I read made me wild for Key Lime Pie. Alas, it's easier to make and eat than to walk off ... . I am always in awe of what Lucy does for her art: "For Hayley's benefit, I snagged a ticket to one of the extra events, The Flavors of Key West, a multi-course dinner and wine-tasting at Louie’s Backyard." I definitely want what she's eating! Congratulations on the release of the new book. I enjoyed the first book especially since I love the Florida Keys. A double barreled contest? WAAAAY COOOOOL! I would love to win!!! I loved the 1st book in the series and can't wait to read more! This looks to be the best to date that i will read book. cover just wants to pull you in and get you reading it. Can't wait. Can't wait to get my book! I have never been to theKkeys and it is so much fun reading about them in your books. Sorry Leslie, I've had to up the exercise too! thank you Nora! and Sarah! Sounds wonderful...Look forward to reading it! The only problem with reading Lucy's book is that whatever I find in my own kitchen tonight is going to be a vast disappointment. I have to say, these books press all my buttons: food, escape to the sunshine, and reading. Can't wait for the new book! It's been on my pre-order thru Amazon for a long time. Haley is one of my favorite characters and the food talk is icing on the cake :). Good luck, Lucy. I am waiting -- not too patiently -- for the delivery of DEATH IN FOUR COURSES. I love book #1 and can hardly wait to dig into this one. Lucy, your new book sounds yummy! Congrats! Thanks to every one of you for joining the party today. Hope you didn't have TOO many margaritas because Hank is coming up next! I am so grateful to have such a great group of friends on JR! what a mad-crazy giveaway!!!! i think i'm a tiny bit buzzed after reading this post!!! LOL!!! I feel so lucky to be part of Lucy’s world through her characters. I can’t wait to read it! Can't wait for the book to arrive!! I'm so excited for this book to come out! ;] Even though me and my friend work at the library we've been stalking the bookstore for this book for a while now...can't wait to read it!! Can hardly wait for this to come out! Tuesdays are my favorite days. I like the cover. Berkley and Obsidian always have good ones. Never been to Florida, but I haven't traveled much. I don't drink so I guess I'll take the limeade or, better yet, an iced mocha. So many new books coming out ! Yippee - thanks to all the awesome writers supplying us "bookies" with a fix ! !